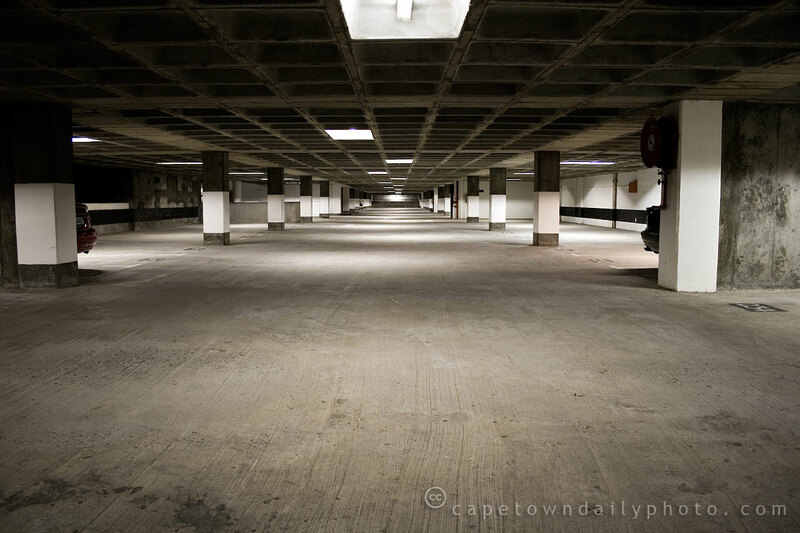 Do you ever stop to think about the amount of concrete above your head when you step out of your car in a parking garage? I certainly wouldn't want to be here during some kind of seismic event. At this time of the evening this parking garage is pretty empty, although during week days it's filled up with colleagues' cars. Only a few vehicles remain after hours, belonging to very committed workers trying to catch up on things undone. On September evenings like this one, there's an icy wind that rushes among the cold concrete pillars, almost pushing you along, and encouraging laggers to vacate the building and head on home to their families. Posted in General on Sunday, 7 September, 2008 by Paul.